Technological innovation has transformed our living and way of doing business as well as other daily activities in various ways. We can earn money online, pay utility bills on the go, and learn new skills with the help of smart devices. And when it comes to healthcare organizations, the latest technological enhancements have incredibly improved the patients as well as practitioner’s experience. The healthcare industry has experienced a drastic shift towards adopting the latest tech tools, such as cloud-based solutions, in order to keep up with the increasing demands for eHealth service requirements. eHealth advocates concepts of telemedicine which are also referred to as the distribution of healthcare information and services remotely through telecommunication technology that includes long distance clinician/patient contact, advice, care, reminders, education, counselling, monitoring, intervention and remote admissions. Although such a digitally advanced shift is a welcomed change for many patients as it renders convenience and flexibility of treatment, it also causes a specific challenge in terms of cyber security that healthcare organizations must handle. Many IT professionals opt to solve their security issues through an all-access, comprehensive approach to solid coding and secure execution. However, the key to outstanding Health Insurance Portability and Accountability Act (HIPAA) compliance as well as ensuring optimal security with telehealth service and solutions is to categorize this access. It is crucial to know that for whom, why and when direct telehealth access is required before providing it to the suitable users. As this assessment is a basic step towards secure telehealth execution, as with any change, healthcare organizations should prepare themselves for a push-back by fabricating a cultural mindset of optimal security. Why is Security Culture a Big Deal? Over the past few years, the healthcare industry has faced major and frequently reported data and cyber-security breaches around the globe. Coupled with the immense increase in ‘access points’ for protected health information (PHI) and telemedicine services, such as desktops, smart medical devices, smartphones and tablets – digital security has become the most critical factor in the attempt to protect healthcare institutes. With daily emerging security risks, healthcare organizations must be as flexible and resilient as the software and services they implement. Consequently, by designating an agile leader and keeping the essence of cyber security in mind, one can help any size of healthcare organization give a jump to a digital culture where cyber security is of maximum consideration. Innovative technologies and smart software adoptions – including telemedicine execution – continue to spread rapidly throughout the healthcare industry. This intense desire for telehealth innovation is quite obvious from the estimation made by Jackson in Healthcare Physician Trends 2016 Report and it signifies that the worldwide telemedicine market will certainly expand to over seven million users in 2018 with $36.2 million by 2020. This widespread technological explosion makes collaborations and partnerships between organizations more important than ever before in the history of cyber security. 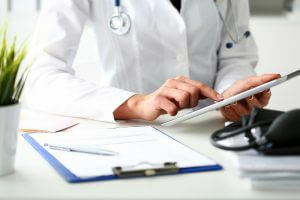 Although cooperation and coordination between businesses can make both the patient and health service provider experience more efficient, secure and flexible, many healthcare organizations’ IT units still view such collaboration as a significant threat. But, both conventional software and cloud-based providers are immensely valuable collaborators to a healthcare organization’s IT strategy – rather than being competitors. Remember, when healthcare IT providers look at each other negatively, it can be significantly harmful to the security and progress of any organization, causing a hurdle between the company’s goals and objectives to persevere to protect confidential information and data while transcending its own competition. In this scenario, champions of healthcare organizations in the IT department and cyber-security units will act and assess all alternatives while trying to leverage technology from numerous places simply to give their institute a considerable push to thrive and prosper. Even when your new software is ready to be used and the IT unit has eventually viewed the light, it has to be reinforced into the healthcare organization’s core. Thus, organizations must make employee education and awareness programs a vital aspect of their corporate culture just like bookkeeping is an essential element of preparing financial statements. As well-desired as this potential move in healthcare organizations to match the digitally evolving environment is, the change takes time and due diligence.